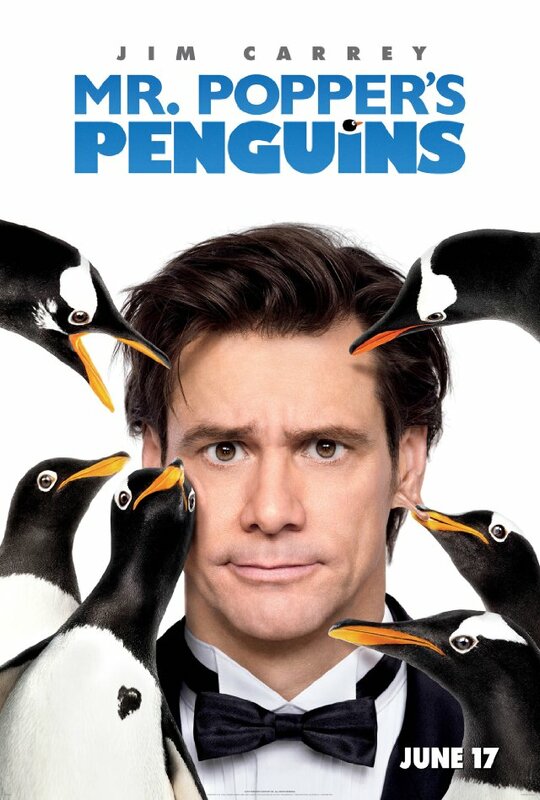 Posted on July 5, 2011, in Movie Reviews and tagged 6 Penguins, Angela Lansbury, Bitey, Captain, Carla Gugino, Comedy, Dominic Chianese, James Tupper, Jim Carrey, Jim Carrey as Mr. Popper, Kelli Barrett, Loudy, Lovey, Madeline Carroll, Madeline Carroll as Janie Popper, Mark Waters, Mr. Popper's Penguins, Mr. Popper's Penguins Movie Review, Mr. Popper's Penguins the movie, Nimrod, Ophelia Lovibond, Philip Baker Hall, Richard and Florence Atwater, Stinky. Bookmark the permalink. 2 Comments. Thanks Natty! This movie is already one of my favorite family films. Amazing lessons taught, very clean (no dirty words), great acting, and above all… cute penguins!!! !